A recent Report initially suggests that some operational aspects of fracking do not appear to present elevated risks, beyond other forms of industrial operations, and that existing regulations, with some minor additions, would suffice. On closer inspection, analysis of the operational and regulatory aspects of fracking reveals greater problems than the Report suggests. Moreover, the study concludes that there are a number of environmental and health conditions that remain unknown and that require a rejection of fracking, at least until those areas of concern are studied and resolved or corrected, if possible. These conditions include groundwater pollution from several steps in the operation, leakage of methane, seismic activity (earthquakes), and air pollution. But the study misses several critical issues that also ultimately undermine the viability of fracking on the island of Ireland. The Report glosses over the sufficiency of regulations and ignores enforcement, despite the long-standing weak or non-existent oversight of problematic operations; it does not raise the argument that fracking undermines the energy policies necessary to reduce and eventually eliminate reliance on fossil fuels; in a fundamental flaw, it fails to address how climate change will significantly deepen fracking impacts, including a diminishing supply of water for drinking and commercial use; it ignores increased levels of methane from fracking at the same time agriculture is expanding and raising levels of methane; and, it underplays the air pollution risks from the dramatic increase in dirty, heavy truck traffic. Considering “environmental” impacts in its widest meaning, including land uses and natural resources, the Report also does not address the assaults on, if not destruction of, the rural landscape where fracking operations would occur. Do we want to destroy the increasingly rare and valuable natural beauty of the landscape on the island of Ireland with methane-spewing gas rigs operating through the day, and evening, supplied by convoys of large, heavy nitrogen-dioxide-particulate-matter-polluting diesel trucks that would overwhelm the quiet back roads of rural Ireland. Certainly tourists will be shocked, if not injured, from encounters with these trucks. After a Preliminary Assessment of the possibilities and risks of fracking for natural gas or oil in Ireland, the governments of the Republic of Ireland (RoI) and Northern Ireland (NI) funded an additional study to provide the science and facts on which regulators in each jurisdiction could decide whether or not to permit operations involving fracking. The study was designed as a two-part exercise with Phase 1 covering a literature review and assessment (desk-top study), and Phase 2 covering baseline monitoring of seismicity and water resources (field measurements). 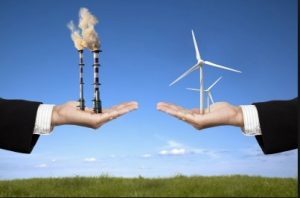 The contract for the study was awarded in 2014 to CDM Smith Ireland, and a consortium of academics, with widespread criticism from environmental and community groups because CDM Smith has done extensive consulting with the fossil fuel industry and was deemed biased in favor of the industry. As the work on Phase 1 was proceeding, the Irish Environmental Protection Agency (EPA), the lead agency on the project, was requested by the Irish government’s environment agency in January 2016 to put Phase 2 on hold and to focus on completing Phase 1. EPA was also directed to submit Phase 1 for review by the government and the public, before any work on Phase 2 was started. Presumably the relevant authorities in Northern Ireland were consulted and approved this plan. See Interview with Aedin McLoughlin in Sources below. The Phase 1 study has now been published as the Unconventional Gas Exploration and Extraction (UGEE) Joint Research Programme. It comprises five interlinked projects with 11 reports, and it involves extensive desk-based literature review of UGEE practices and regulations worldwide. We focus on the Integrated Synthesis Report, a summary of all the findings of Phase 1, supplemented as needed by the sub-reports. After a brief discussion of risks from fracking operations, which the authors suggest are similar to other industrial activities, the Report focuses on other risks and uncertainties about which there is insufficient information and that preclude any fracking at this time. long-term leakage of methane from capped wells following cessation of production. While the authors state there are three areas of concern, this understates the problems with fracking. For the groundwater contamination issues are affected by another critical issue: structural geology and seismic activity, which deal with earthquakes from fracking. That’s four unresolved major issues. And then there is another critical, 5th, issue. 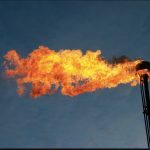 The authors admit that there is a “lack of agreement on the magnitude of air quality impacts” as there are few studies of the health effects of air emissions from fracking operations. At ix. 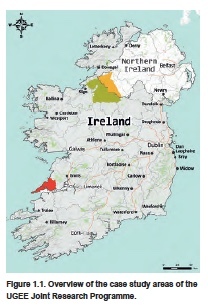 The critical missing component for determining risks to water pollution from fracking is any baseline monitoring of the quantitative and qualitative dimensions to surface and groundwater in the areas subject to potential fracking, namely the Northwest Carboniferous Basin (“NW Basin”: northwest of the island, including Leitrim, Cavan and Fermanagh) and the Clare Basin. The study concludes that any proposal for fracking would require a detailed and specific assessment of fracking impacts on local groundwater, streams, and lakes. Such assessments would need to include whether there is sufficient volume of groundwater and surface waters to meet the needs of current and future non-fracking uses before a fracking project could be permitted to proceed. The Integrated Synthesis Report suggests that “Existing abstraction pressures are currently low and capacity is available…” in both study areas to supply future fracking development. Yet the authors qualify this “conclusion” by arguing that any water supply would be affected by how and where the development was to take place, recognizing that large abstractions, as in fracking, even for short durations can cause environmental stresses and impacts. But perhaps the most glaring deficiency in the instant Report is that the authors ignored climate change in its analysis. Search the entire Integrated Synthesis Report, and the Summary Reports 1-5, for “climate change” and you’ll find only a few hits, none of which involve a significant discussion of climate change and its current and expected future impacts on fracking. Likewise, the term “greenhouse gas” (GHG) is mentioned in the Synthesis Report only a handful of times, in passing. The only substantive mention of GHGs is when the authors address the risks from fracking operations and they state: “One of the main areas where uncertainties are liable to remain relates to the quantification of long-term greenhouse gas emissions.” At xvii. For example, when the authors evaluate whether there will be sufficient water resources for water-intense fracking, they are silent on the impact of climate change on the water resources in the affected areas. 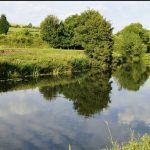 Many studies have demonstrated that Ireland is highly likely going to experience wetter winters and drier summers, with droughts, as a result of climate change. Those changes can significantly affect how much water there will be for drinking, agriculture and commercial operations, including any fracking. If there would not be enough water for all users, who would do without? We suspect it will not be citizens who vote, and probably not farmers, a very strong lobbying group. Ignoring climate change impacts on the risks of fracking is a fundamental flaw in the Report. Also of critical importance, there is currently insufficient knowledge of deep geological and hyrdogeological conditons in study areas to determine the potential impact of hydraulic connections between shallow acquifers and deeper bedrock formations. This information affects the risks of contamination of drinking water supplies in more shallow acquifers. Some of this work can be accomplished by research at sub-regional levels, but some would have to be done on a case-by-case basis. The sub-regional baseline characterisation and monitoring program would include: “groundwater sampling of existing public and private supply wells, springs and potential new monitoring wells; groundwater-level monitoring in select, existing and any potential new monitoring wells; sampling of lakes and streams in designated protected areas; and hydrometric monitoring of spring discharges and stream flows where particular data gaps exist.” At xi; see, also, Figures ES.1 and ES.2. In other words, much more needs to be done to understand the risks from water pollution before fracking can be considered on the island of Ireland. Under all circumstances, the precautionary principle must be applied. A wide-spread and realistic concern about fracking is the risk of earthquakes. Experience and research in the US and UK have shown the link between earthquakes and fracking operations. 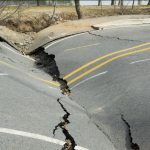 While the strength and danger of the earthquakes vary, it is critical to have the data to understand the subsurface conditions that can increase the chances of and aggravate the intensity of earthquakes resulting from fracking operations. As with water conditions in the affected areas, the Report concludes that no fracking can be allowed until there is sufficient baseline monitoring of the geological conditions in the affected areas. Without the required data, the study was not able to develop modeling for the impacts of any earthquakes. For instance, the study indicates that proper regulation would not allow fracking where pre-existing shallow fault zones exist but data on the existence and location of shallow fault zones is not available. While the authors do not expect significant seismic activity as a result of fracking on Ireland, they do not have the information or knowledge to be sure. The additional baseline monitoring to establish the rate of naturally occurring seismicity in the affected areas would involve installing 12 seismometers in the NW Basin and 10 in the Clare Basin, and the monitoring would have to last for two years. Understanding the geological conditions is also critical for assessing the danger of vertical fractures reaching into shallow depths. If fracking takes place in shallow depths, there is the risk that the fractures might affect acquifers which serve as drinking water sources in the areas. Without site-specfic data, the authors could not assess the risks from fracking associated with any fracture network in the subsurface. Once again, the precautionary principle must prevail. “very few, if any, methodologically rigorous studies have examined the potential cause-effect relationships” of fracking and actual health outcomes. At xvi. The Report indicates that there is a broad consensus on which chemical compounds are associated with fracking, although one wonders how this came about since fracking companies often refuse to reveal what chemicals they use. There is no reasonable estimate of the level of these compounds in the environment, nor their impact on health. Air pollutants of special concern include methane, which is the primary component of shale gas. The Report calls for further studies of the long-term risks from leaks of methane from closed facilities. In Ireland any methane emissions would be particularly problematic since the expansion of the agriculture sector in both the RoI and NI will aggravate already elevated levels of methane, which are undermining the governments’ obligations to reduce GHGs. Yet there is little or no analysis of this critical interplay between more methane from agriculture and from fracking, and the impacts on climate change and the governments’ obligations to reduce GHG emissions. The Report focuses on polluted air emissions that typically occur during well completion when “frack fluids” flow back to the surface and also after completion through leaks from capped wells. But the authors in effect ignore the air pollution from the large number of heavy diesel trucks transporting chemicals, sand, water and other materials to the well pads. The Report recommends that a full baseline characterization of air quality be carried out, including health effects, before any fracking operations, including exploratory drilling, are allowed. Any Environmental Impact Assessment (EIA) or Strategic Environmental Assessment (SEA) would have to include analysis of the air emissions and their impacts, once again guided by the precautionary principle. At the beginning the study was intended to determine whether fracking operations could be carried out while also protecting the environment and human health, as well as determining the best environmental practices for any such operation. When EPA announced, in October 2016, the status of the Phase 1 study, it also noted that the government had published a White Paper on Energy and that this study would address fracking in view of the “objective of achieving a low carbon energy system in which the use of oil and gas is gradually curtailed and, in the longer term, is eliminated from our energy mix.” (Sources: EPA, Oct 2016). This added dimension is critical as it expands the consideration of fracking to include its place in the energy policies of Ireland, and hopefully Northern Ireland, and its impact on the long-term objective to eliminate oil and gas from the energy mix. Indeed, in December 2015, in commenting on the RoI government’s energy White Paper the then-Minister for Communications, Energy and Natural Resources Alex White stated in an Op-Ed article that: “The Environmental Protection Agency is currently examining the potential environmental and health impacts of fracking …even if it is found to be safe, I find it hard to envisage a policy decision to introduce fracking, given that we are going for a low-carbon energy system in which oil and gas are gradually curtailed and, in the longer term, eliminated.” [Emphasis added] This statement came almost a year before the Phase 1 report was issued. Various steps in the fracking operation present risks to the environment and health. Those steps in the process include well completion or drilling that triggers the greatest risk of groundwater pollution through faulty casing of the well or improper cement grouting of the casing. Other threats arise from the handling of storm water runoff from roads and drilling pads, surface chemical spills and leaks, migration of fluids from the drilling and fracking, and transport of chemicals and other supplies for the fracking. Fracking requires large volumes of water, the sources for which can be problematic. The larger lakes in the affected areas are, according to the authors, not at a great risk from abstraction, but streams are at risk and viability of using groundwaters is unknown. As we discussed above, any analysis of the water supply for fracking operations must take account of climate change impacts. Recycling or disposal of flowback and produced water, containing chemicals used in the operation, will create problems as there are no wastewater treatment facilities that can handle these wastewaters, and deep well injection is not allowed under the EU Mining Waste Directive. Notably absent from the discussion of operational and regulatory regimes is any analysis of the enforcement capabilities of the environmental agencies on the island. There is little, if any, expertise within the national agencies in fracking, or extraction operations in general, and the staffing and resources of these agencies have been depleted over recent years. It is possible to develop and enact stringent regulations to govern fracking but if there is inadequate enforcement or oversight resources, the regulations are meaningless. And of course it hardly needs to be pointed out that local government agencies on the island are even more strained than the national environmental agencies with regard to lack of expertise and staffing and resources. Communities all across Ireland have been forceful in their opposition to fracking, and the government in the Republic of Ireland (RoI) has certainly sent signals that it has deep reservations about fracking. See Minister White’s comment, above. The devolved government in Northern Ireland (NI) has a more complicated path, in part because of a deep difference of opinion between the political parties on fracking. Moreover, NI depends heavily on subsidies from the UK government to survive, and the UK conservative government is enthusiastically committed to pushing fracking throughout the UK. If the NI government were presented with a choice of no subsidies without fracking that would indeed be a dilemma even if the government were united in its opposition to fracking. See Interview with Dianne Little in Sources below. The Phase 1 study is done and it recommends that further research and field work, including baseline monitoring, before any final decision on fracking on the island of Ireland. But the recommended additional work — on water pollution, methane emissions, earthquakes, air quality and regulations — would not suffice. Much, much more would need to be done before any decisions on fracking, and some of these issues present insurmountable obstacles. First, any additional research and field work raises some troubling questions. Who is going to pay for any further research and evaluation? Isn’t it for the benefit of the fracking industry, so that if it should be undertaken, isn’t it sensible that the industry pay for any additional studies. Research indicates, for example, that baseline monitoring has been found to be inadequate in many places where fracking has taken place, and that such monitoring is a shared responsibility between operators and regulators. At 9. Of course, any additional research and evaluation must be undertaken by independent entities, whether it is paid for by the industry and/or the governments. lack of enforcement resources and expertise, and the unlikely support for additional staff and legislation and resources for enforcement from governments. A further word is warranted on the enforcement issue. The authors take the position that in terms of the risks from operations — e.g., drilling wells, casings, flowback — there are lots of unknown conditions and uncertainties, but these all can be sorted out by the fracking operators, just as they are by other industrial operations, in the field. Of course, some regulations have to be improved, but again this can all be done once fracking is approved. In other words, approve fracking and look at each site to see if the operators have considered and addressed all risks. If they have not, then it will just require a simple fix in the field by the operators. This gives the operators lots of room to negotiate for the minimal level of protection efforts. Yet the Report offers little to no analysis on the critical lack of the resources and expertise within the relevant agencies in the RoI and NI to oversee fracking operations and enforce whatever regulations might be finally enacted. The oversight and enforcement record on the island of Ireland to date is not encouraging. These last four points present insurmountable risks from fracking and argue against any additional research and field work, and for a permanent rejection of fracking on the island of Ireland. After all, describing the process of fracking as “unconventional” is just a euphemism for dirty, risky hard-to-get fossil fuels. While we might say that the government and gas industry undertake fracking at their peril, it is not their peril that worries us. Rather it is the peril to the people in the communities who will be subjected to the many dangerous risks from fracking, as well as to all of us in the wider community who will subjected to yet more fossil fuels destroying our planet.